9.1 mm thick sapphire glass is anticorrosive, scratch-resistant and never wear, let art always clear. Super luminous’ amplification effect in the small space between dial shows hazy blurred, unique visual feeling like to burst through the mirror. 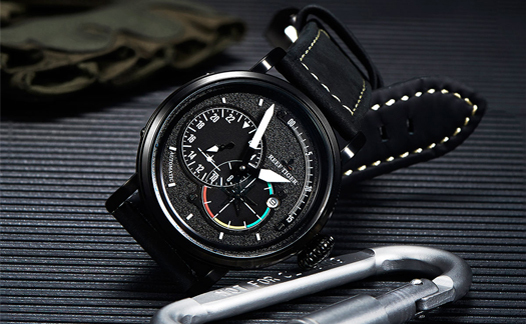 The dial is marked with a nail-light screen and is equipped with a SLN C1 Super Luminova super luminous material pointer, with multi-faceted design and SLN C1 SuperLuminova super luminous material. 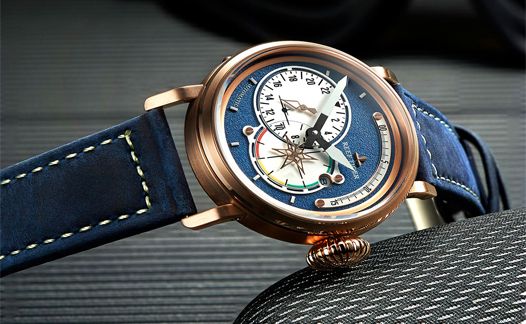 The 45mm wristwatch is round and smooth, with a crown of teeth, and a strong case with curved lug, fit wrist well. It is very comfortable and personality. The taste of its ancient ways, military appearance of the sense of sight, makes a lot of men drool, like poison, let tough guy can’t refuse it. 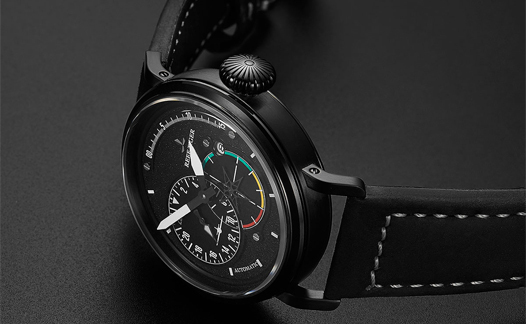 Oily frosted leather strap, with rubber lining protection of special lines with the passage of time will become better quality; add some retro color to the contemporary Pilots watch. The lining of the imported Italian calf leather with same color cotton handmade, bring good wearing feeling with soft and breathable. It is well known that movement is the heart of the watch, the stability of the movement or not directly related to the life of watch wearing. Reef Tiger from watch factory innovation excellent movement CAL. 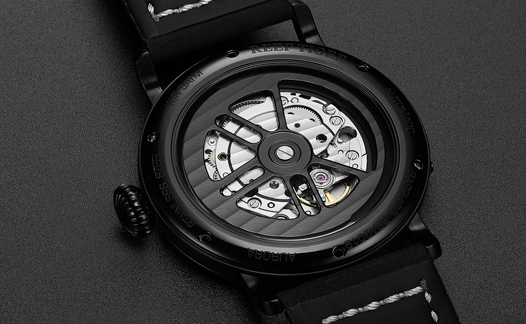 8810 movement, 24 jewels, and 21600bpm to ensure the direction error rate is less than 10 seconds. 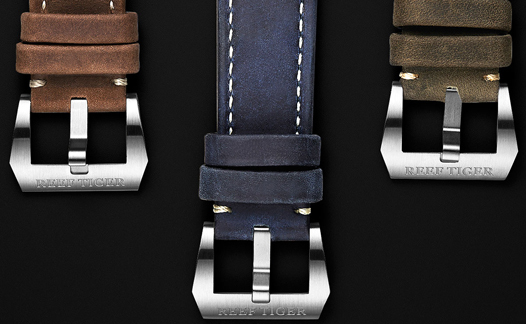 It is the core of Reef Tiger Swiss watchmaking process.